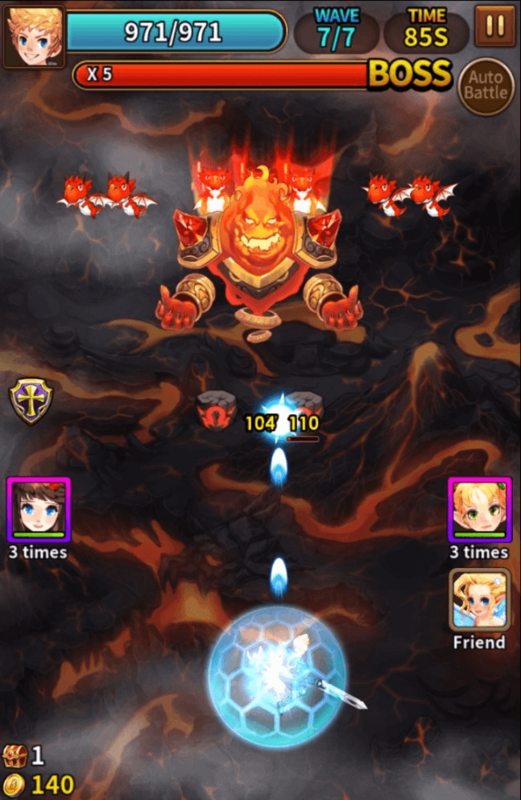 Dragon Heroes isn’t as different as you might think from other popular mobile games, but its core gameplay is exactly what you could want from a shoot ‘em up. Let’s break it down. 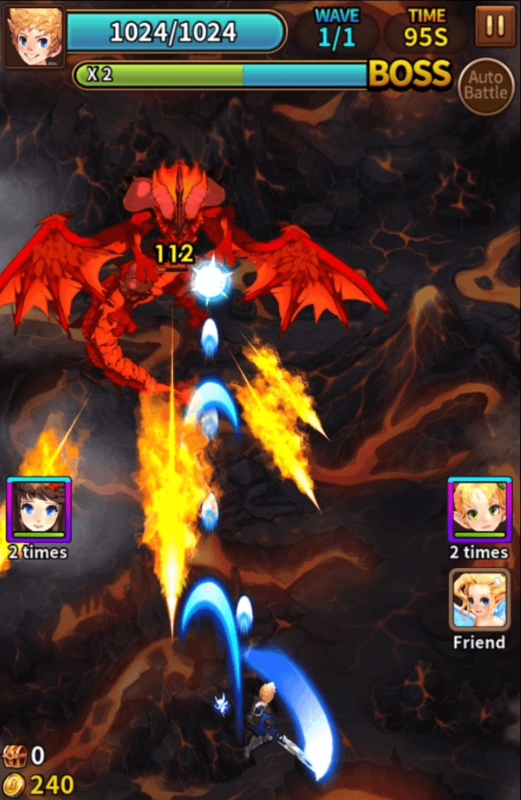 At its heart, Dragon Heroes is a fixed 2D shooter. 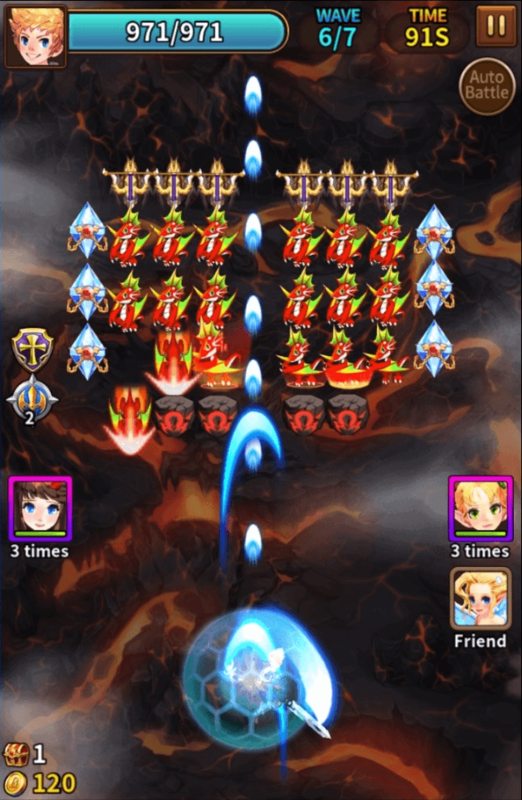 Each stage of gameplay consists of waves of enemies which appear on screen in a set pattern, with the final wave being a boss fight. 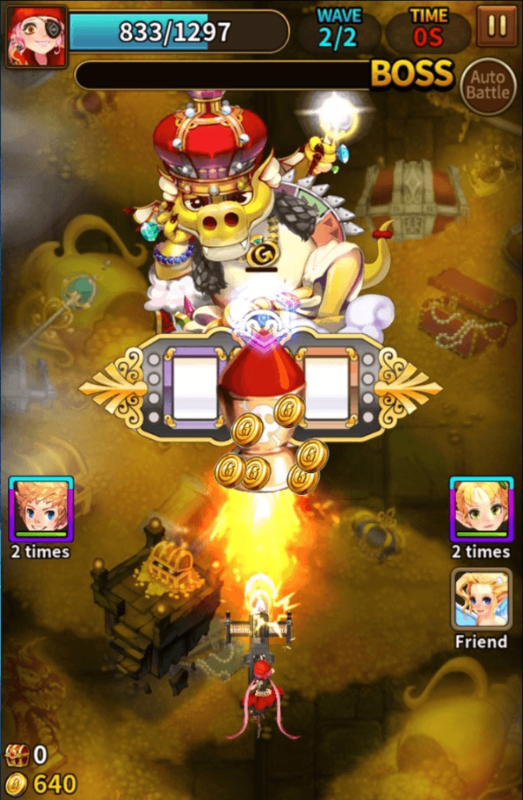 The active character is at the bottom of the screen. Movement is controlled by holding and moving a finger along the screen in a constant swipe, while firing is automatic. There are also a few additional features to this part of gameplay to make it a little more interesting. 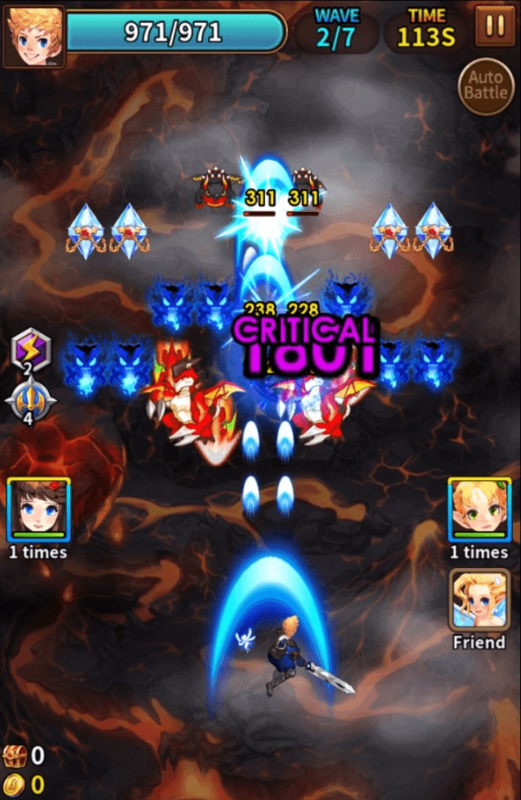 Enemies have a variety of attacks and abilities. 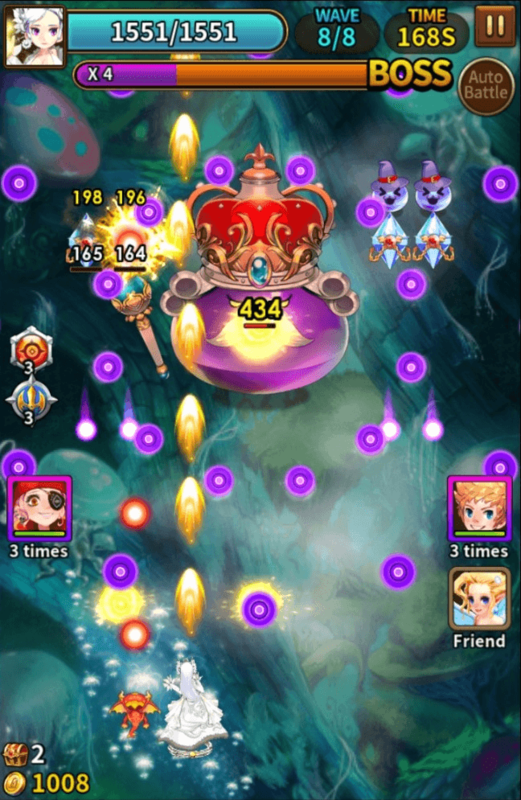 Each enemy has a single ability, from charging down the screen to casting bolts of magic. 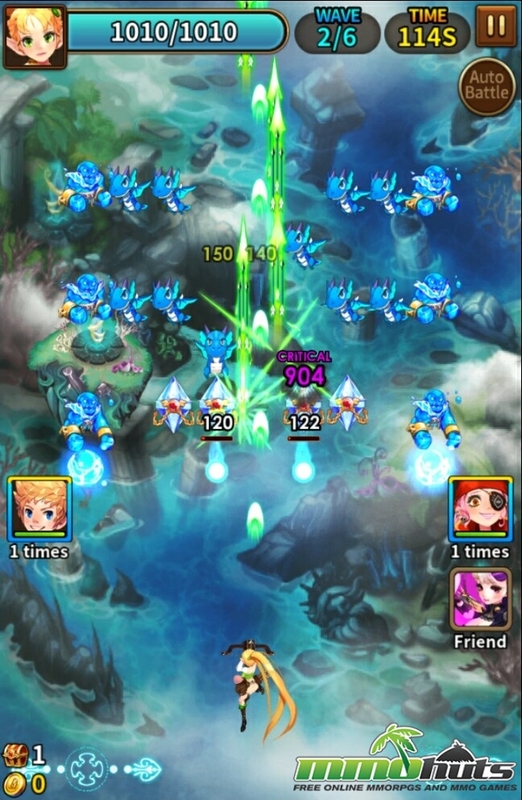 Some enemies also act as barriers to protect enemies behind them, and some can also summon more enemies onto the battlefield. While most enemies on their own are fairly harmless, in the right combination, enemies can be challenging. 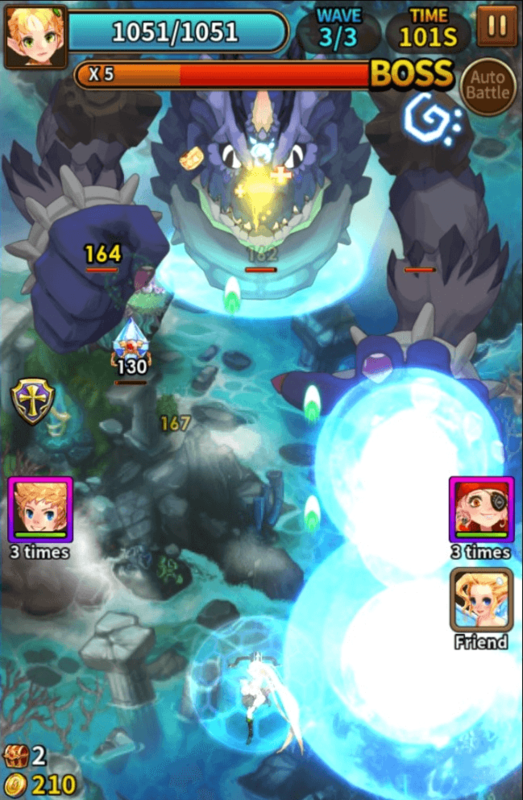 Bosses, meanwhile, go straight for the “bullet hell” attack scheme, launching several patterned attacks that require skill to avoid. Enemies will occasionally drop random power-ups as they are defeated. 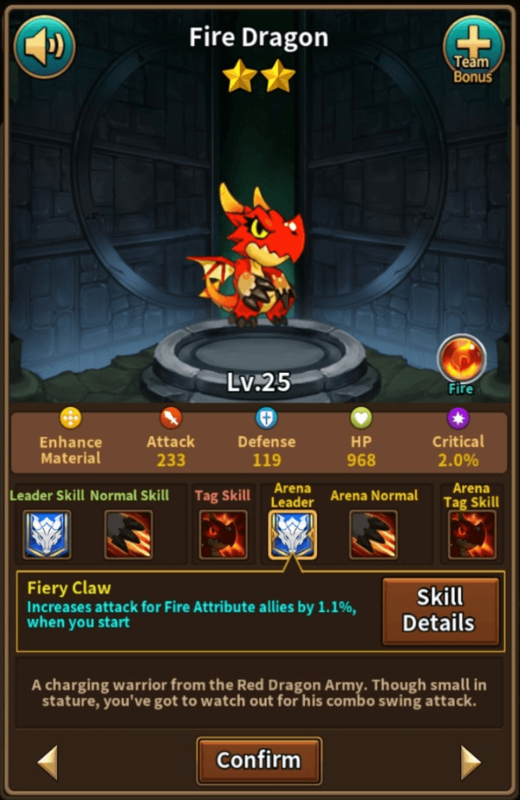 These power-ups include defense, offense, heals, and even summoned dragons with additional skills and attacks. 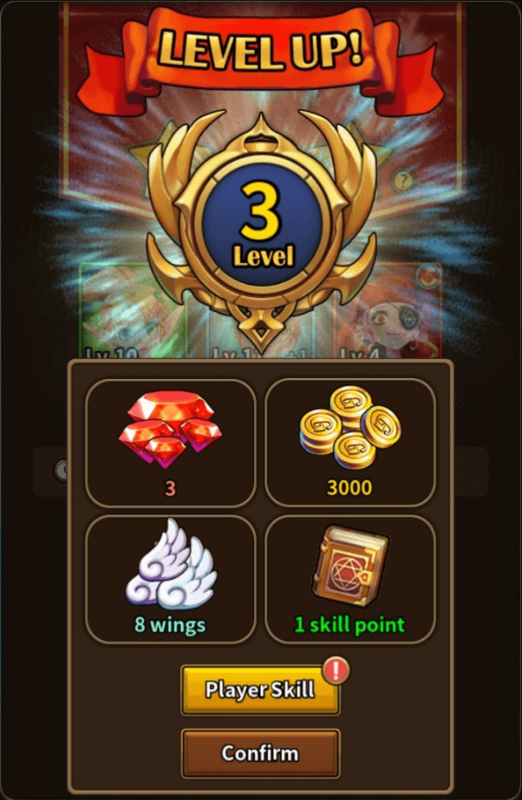 Each power-up will last only a few seconds, but this duration can be increased with each level up using skill points. 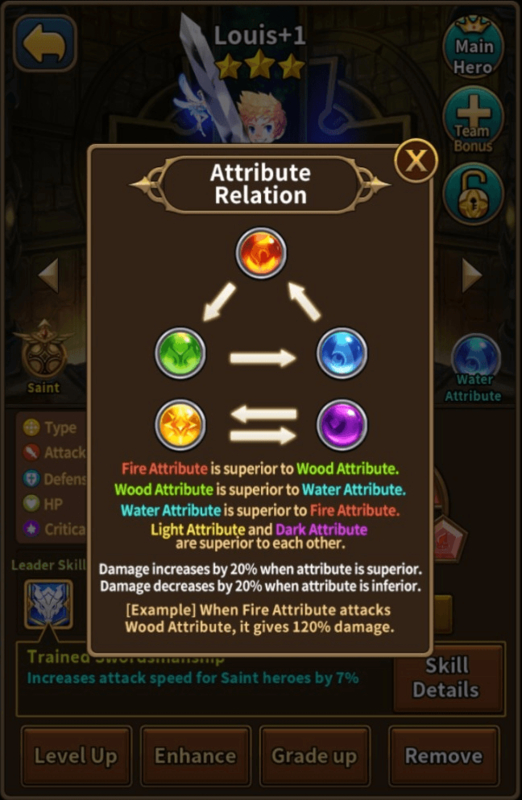 This skill point system lets players put emphasis on the power-ups they find most useful, or simply take a balanced route. 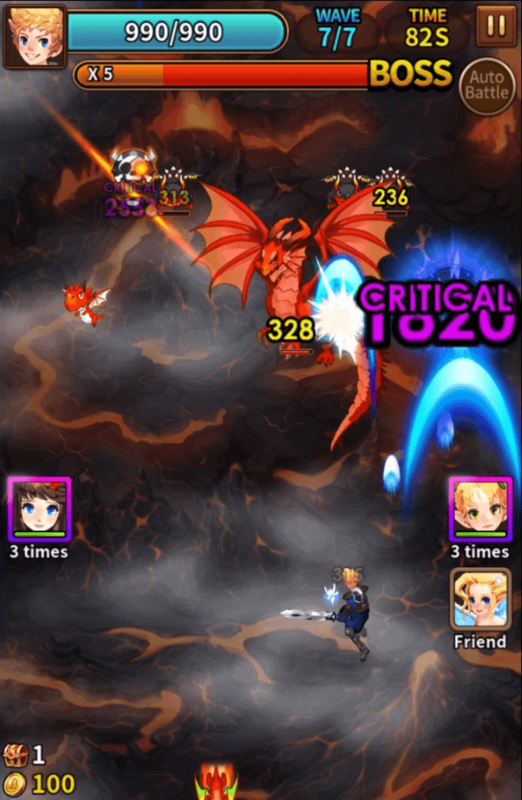 Instead of bringing a single character to a stage, Dragon Heroes uses a party system. 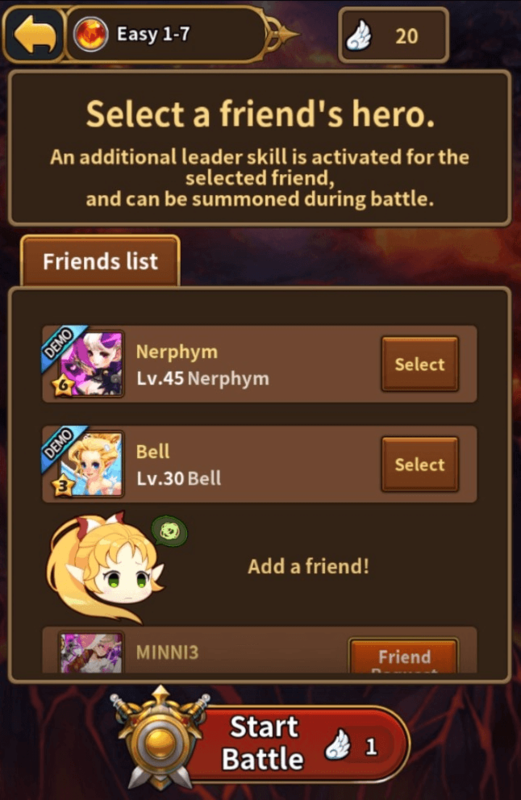 Three characters (plus an optional fourth from your friends list) come along each battle. 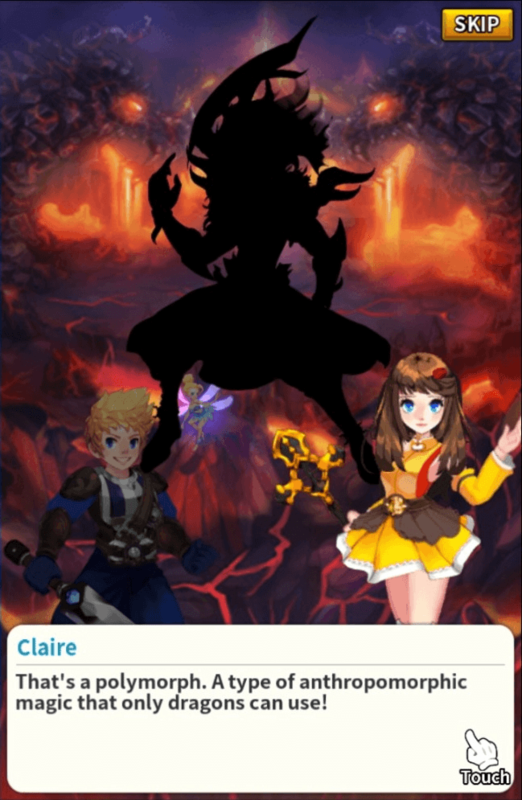 While only one character is active at a time, other characters can be switched to by tapping their portrait. Switching characters allows the previous character to rest up and regain some hit points. 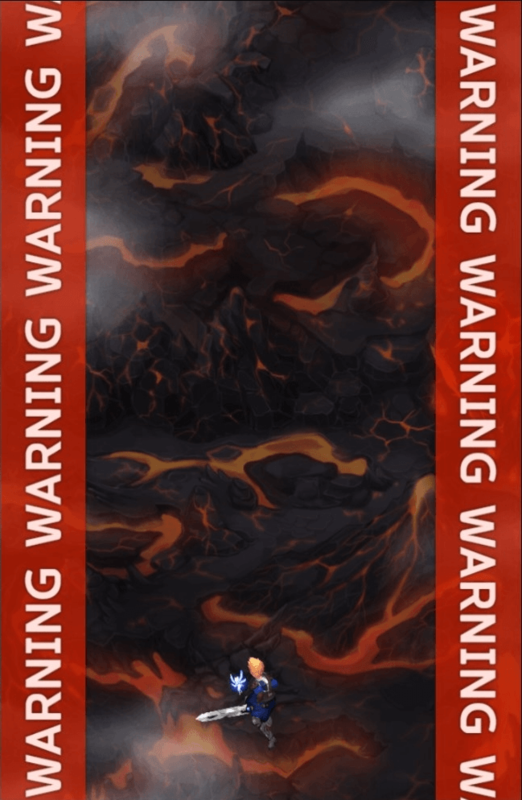 It also activates a special ability from the new character for a limited time, often a powerful damaging ability. 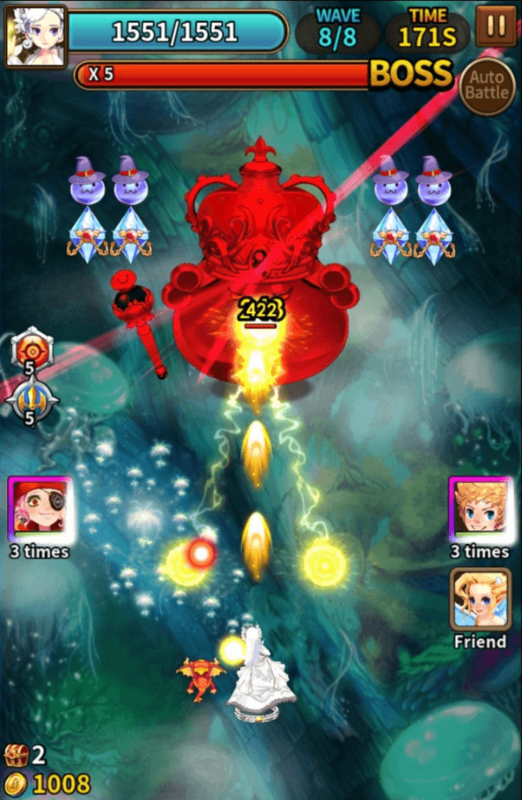 Switches per stage are limited, and will happen automatically if the active character loses all their hit points. 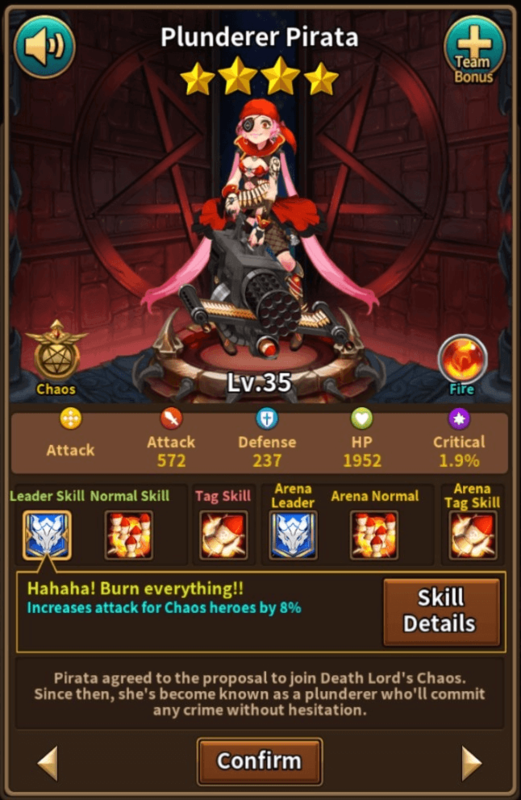 Building a good team is a must: each character has a leader skill and special activated skill. 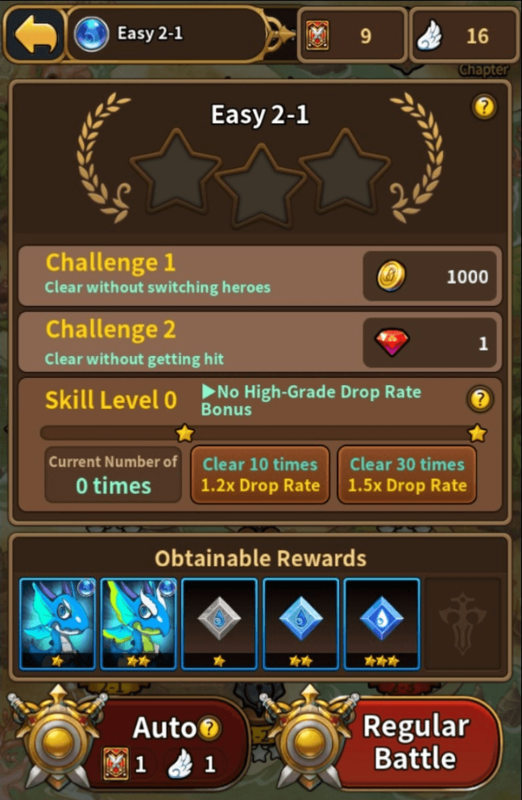 Unfortunately, the overused “card upgrade system” finds its way into Dragon Heroes. 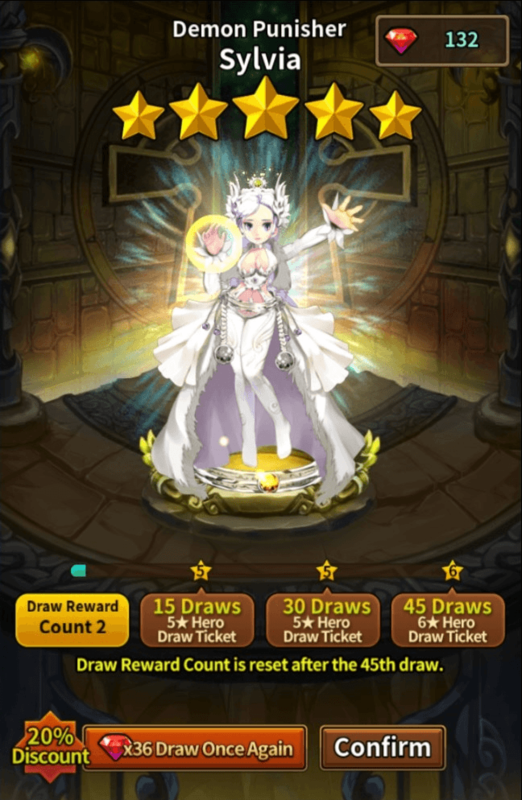 Each character is considered a “card,” and cards drop regularly from dungeons and can be drawn daily from the shop (both for free and with cash). 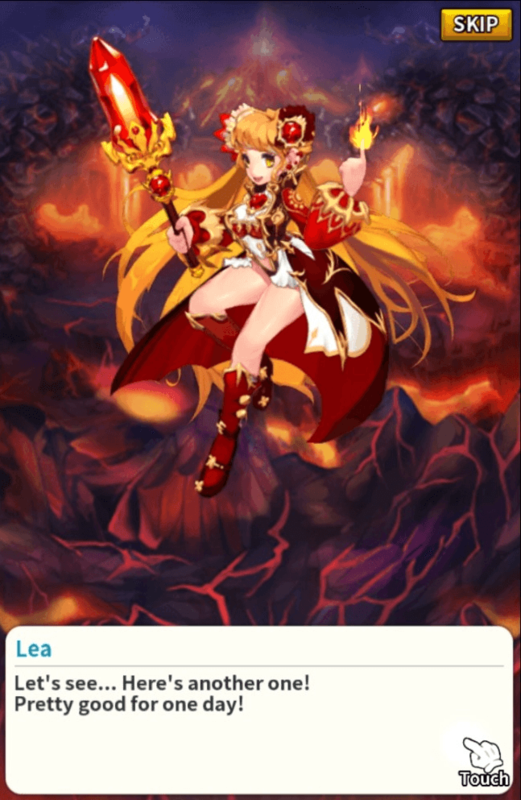 Characters have a range of rarity indicated by their star value, and upgrading a character requires fusing extra cards onto them for experience. Yes, it’s an easy way to make use of extra characters and cards that aren’t needed, but it’s also a system designed to create an intense experience grind in later levels to keep gameplay ongoing. 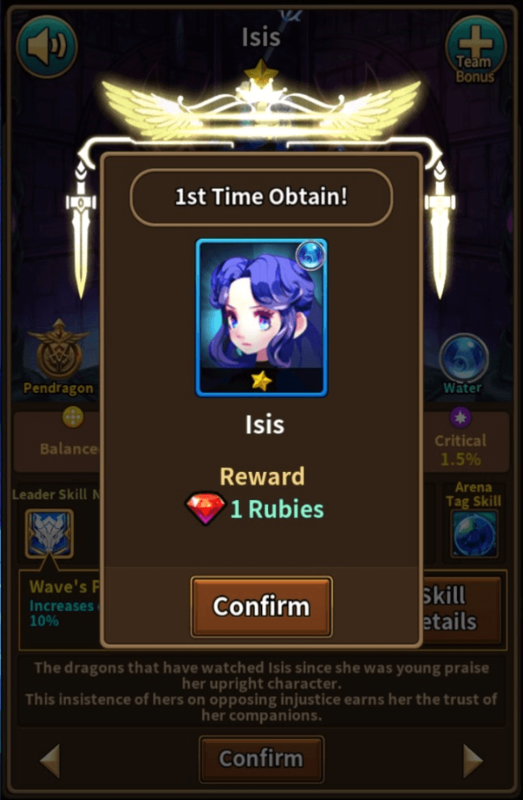 There has to be a reason to entice players to purchase experience potions, right? 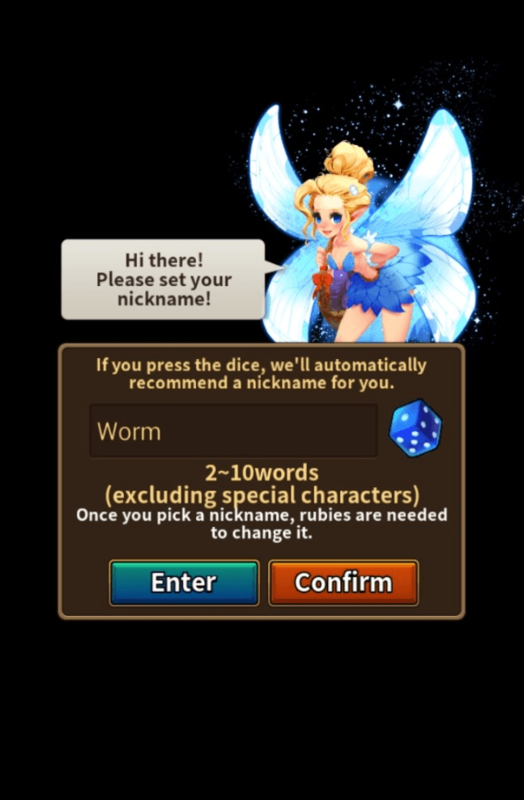 At the very least, the game’s cash shop currency (rubies) is plentiful and is rewarded for a variety of achievements and task completion. 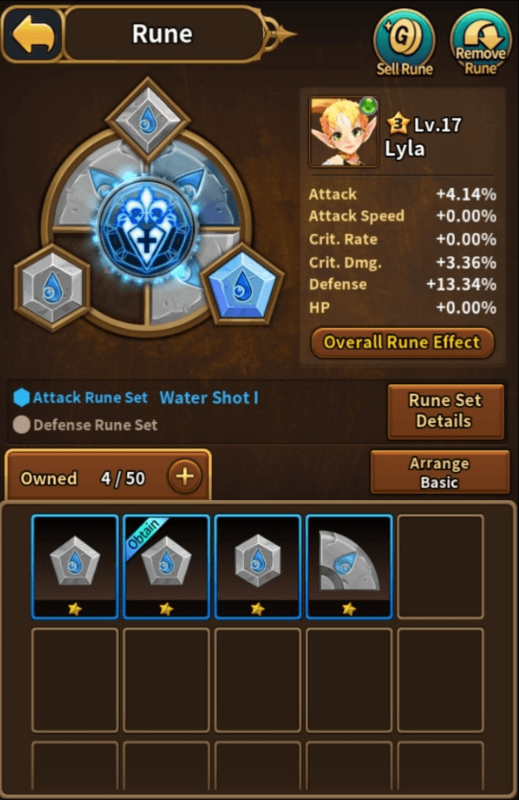 Characters also have equipment in the form of runes. The rune system is a seven-part sigil that encourages synergy between each element. 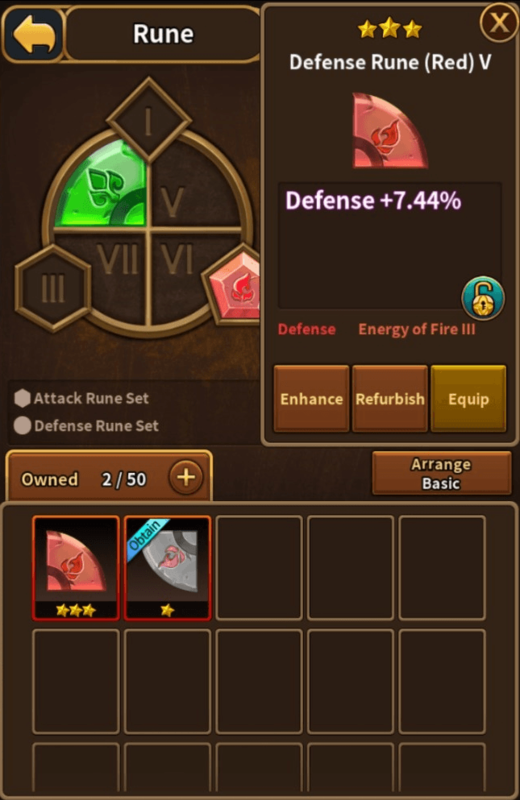 There are four defense runes (forming the shape of a circle) and three attack runes, each with a specific shape. 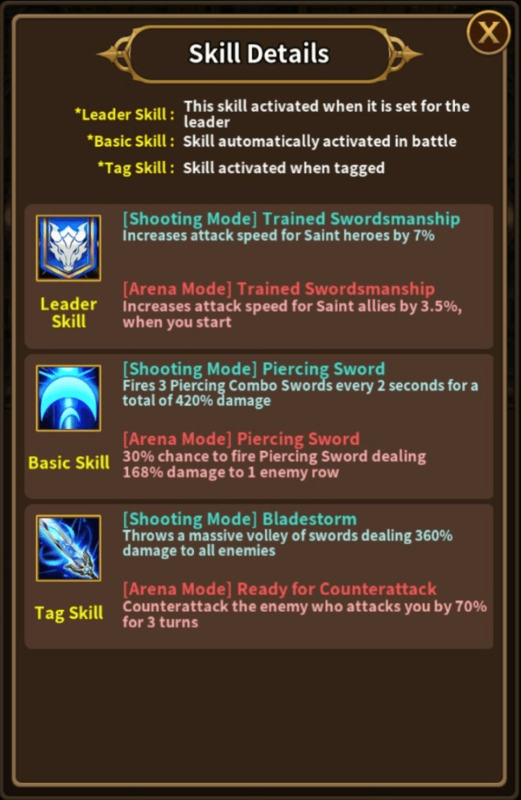 Runes are colored according to their element, and possess various stat boosts or skills. 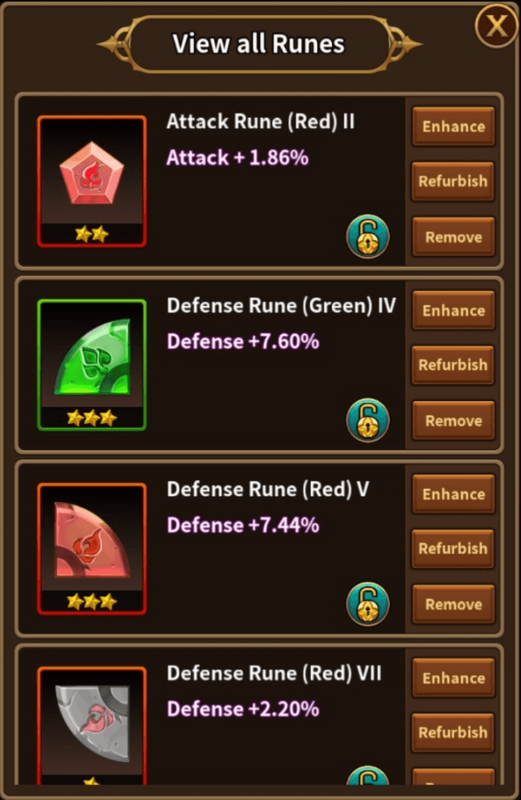 Synergizing runes grants what can be thought of as a “set bonus,” so it’s best to group like together. 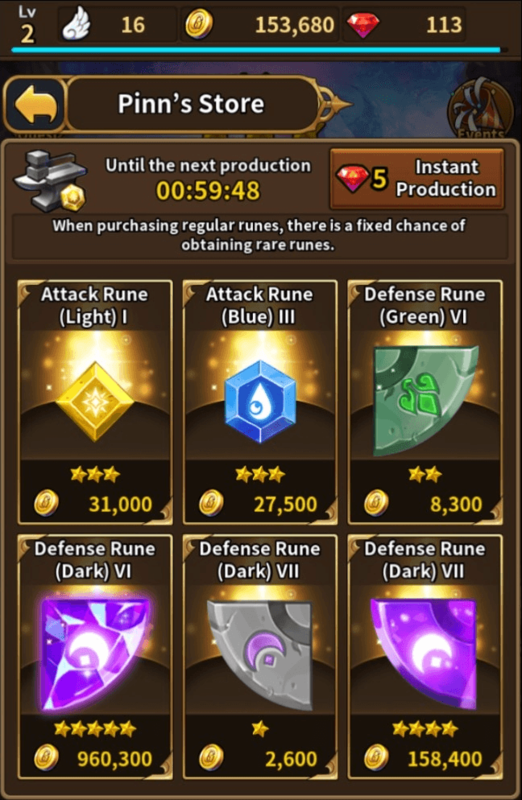 Runes can be upgraded with materials, and additional runes can be purchased in a store for gold. 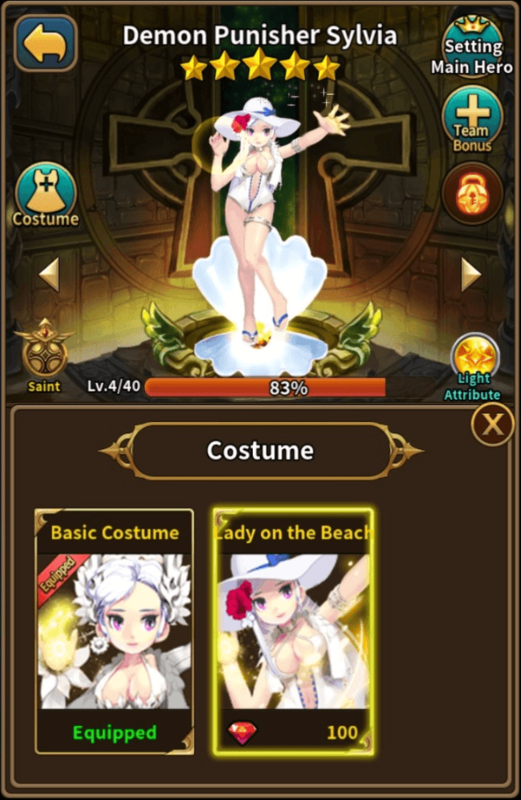 Not directly related to progression, but I also should note one particular oddity: certain characters have costumes they can dress up in. Currently these mostly consist of swimsuits. Some of them are rather bizarre. To each their own, I guess? 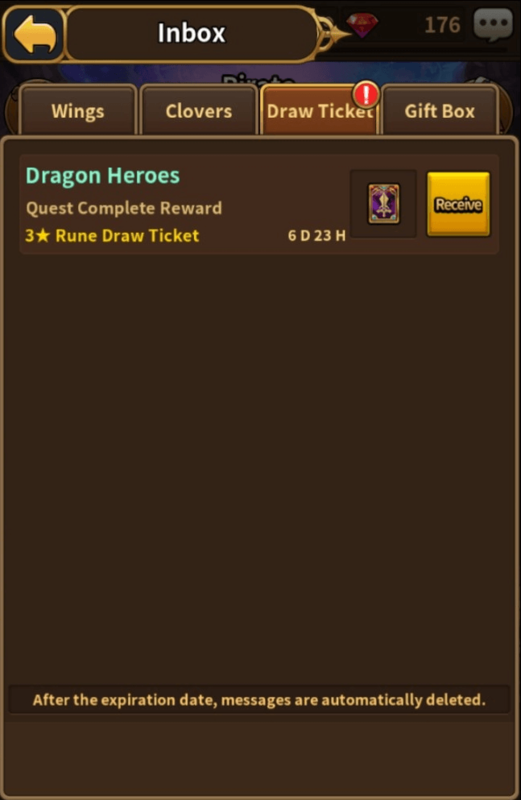 In addition to the campaign mode, there are a few other features available to play in Dragon Heroes that offer plenty to do with that energy bar. 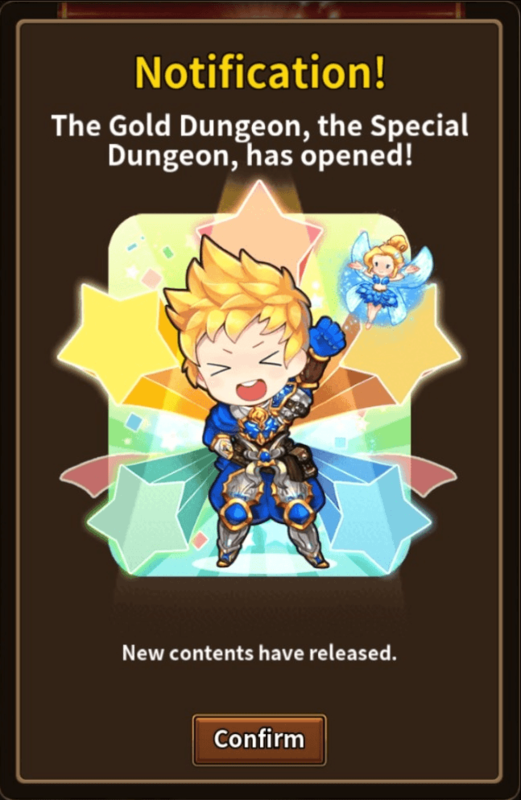 To start off with, there are four daily dungeons available. 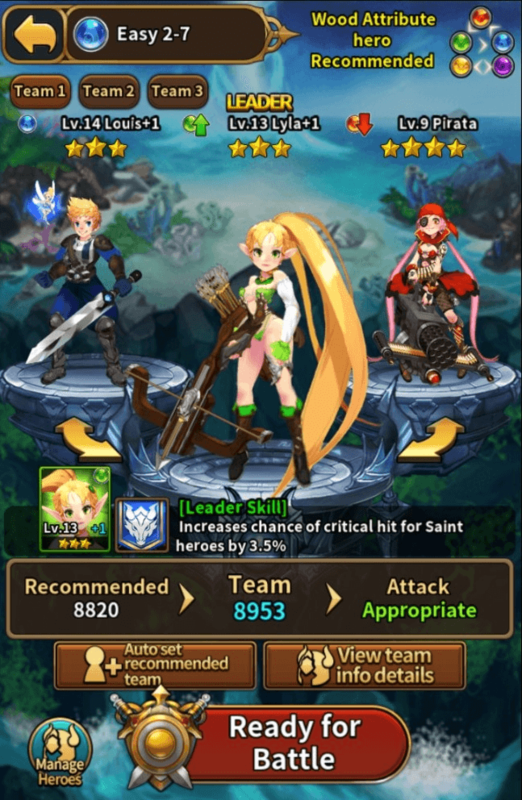 Each focuses on one of four areas – gold, experience, heroes, and grade-up materials. There are limits on how often you can run each in a day, though the “keys” that allow you to run them do regenerate over time. 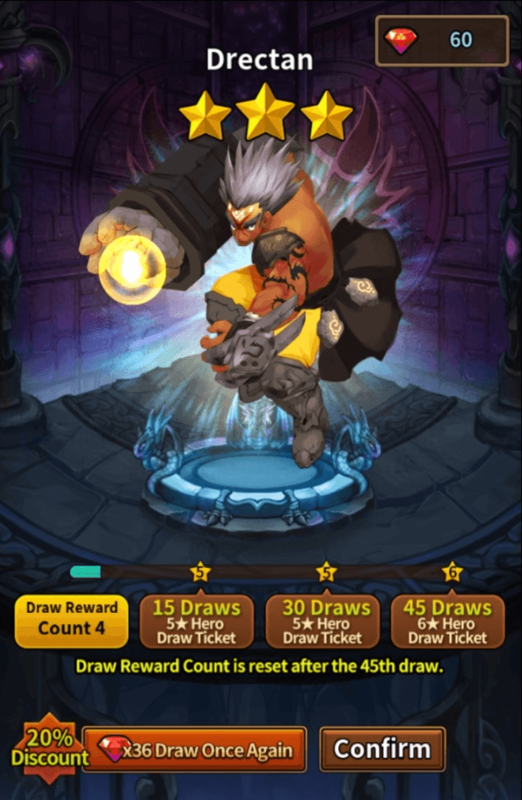 The infinite dungeon challenges players to go as far as they can in a never-ending dungeon during the week, and rewards the top of the leaderboard. 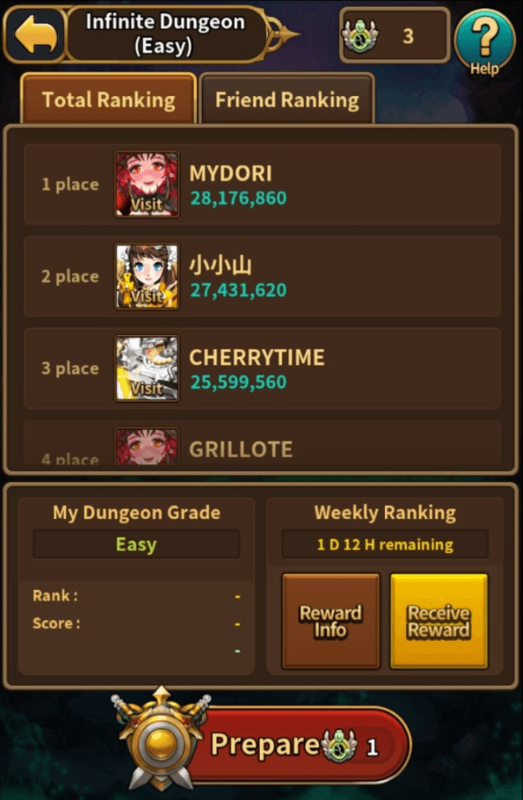 A special dungeon offers additional challenges. The game also supports guilds and PvP with an asynchronous arena. 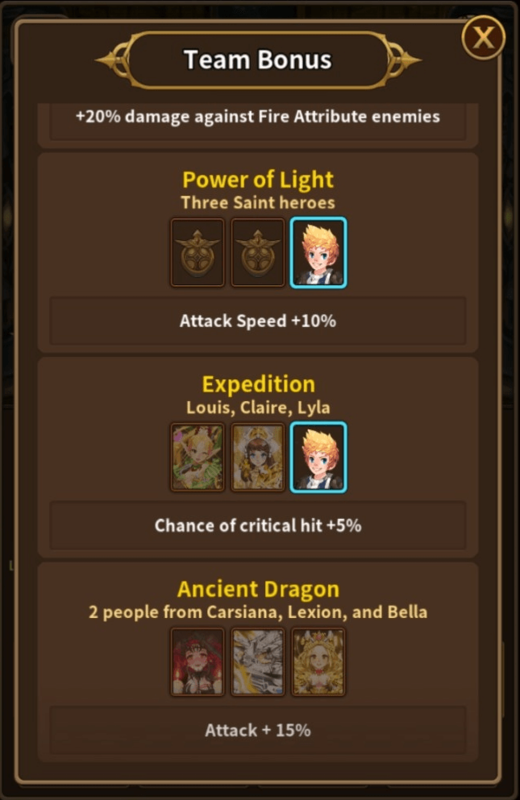 Between these events, and plentiful energy, you could theoretically play Dragon Heroes for hours before having to put it down. 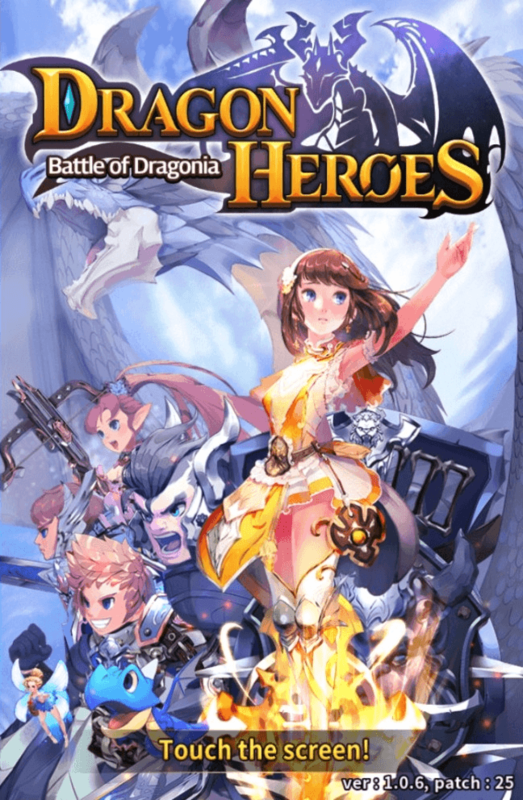 Dragon Heroes is undeniably fun to play if you’re a fan of shoot ‘em ups, but it has many flaws. 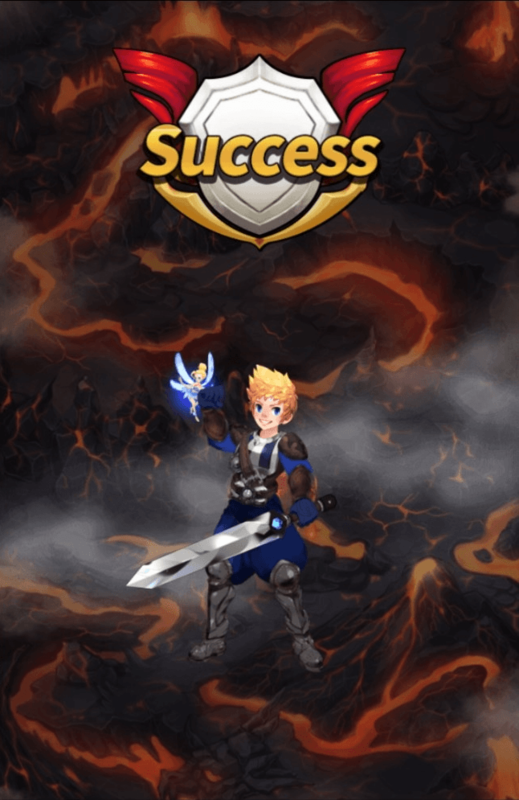 Some of them, like limited character movement, are game quality issues; others, like the game’s unavoidably obvious mobile-flavored grind, can be overlooked. 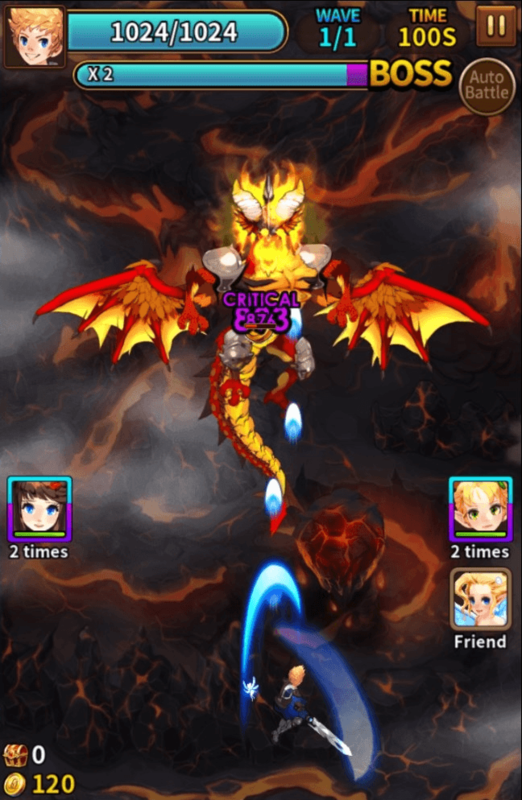 Outside of the gameplay in stages, Dragon Heroes has an uncanny resemblance to games like Puzzle & Dragons. Heck, even the brown and gold user interface feels strangely familiar. It leaves the game perfectly average: great gameplay with minor flaws is balanced out against poor free-to-play structure. 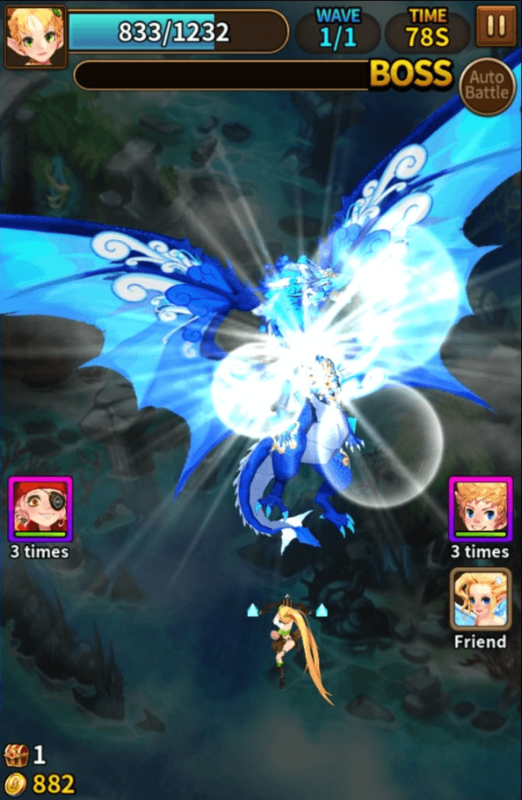 Graphics & Sound (3/5): Dragon Heroes has a well-drawn anime style and bright visuals. Unfortunately the sound track is very limited and repeats tracks endlessly. 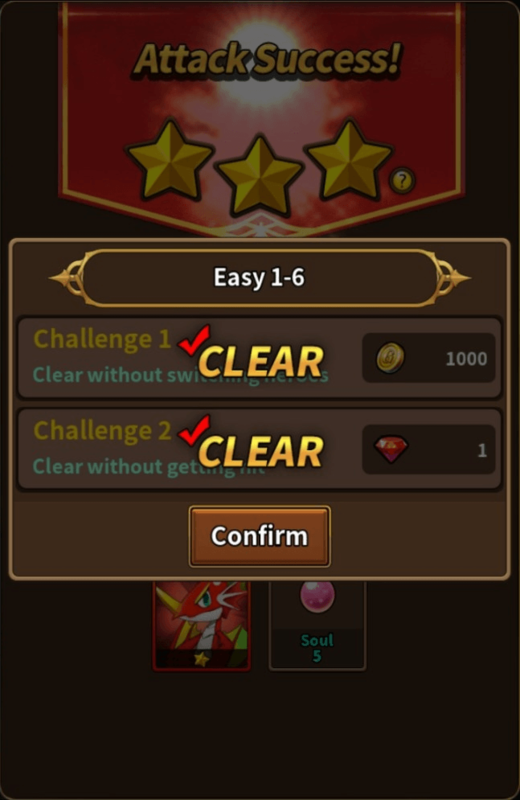 The UI is also very bland and oversized. Controls (4/5): Touch controls work great for a shoot ‘em up, with the one crucial flaw that the character can only be moved in the lower third of the screen (rather than full screen movement). Features (4/5): The game system is time gated with energy, but there are plenty of game modes to offer almost endless play. 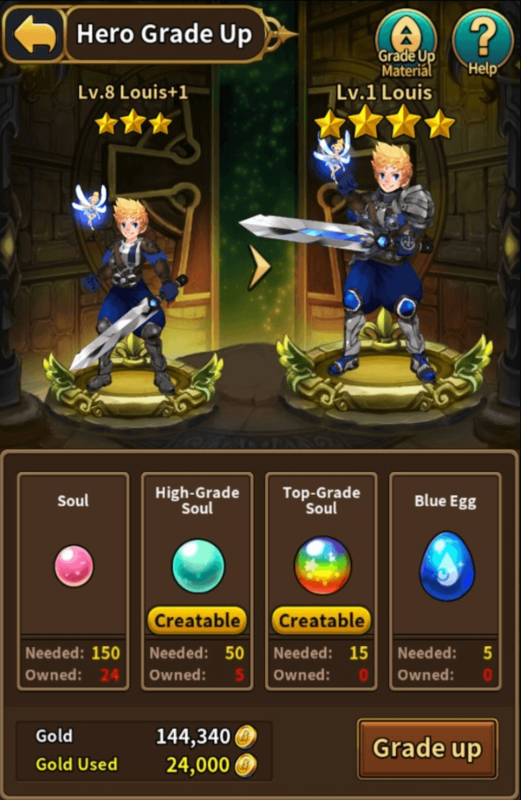 The game currently lacks a co-op feature. 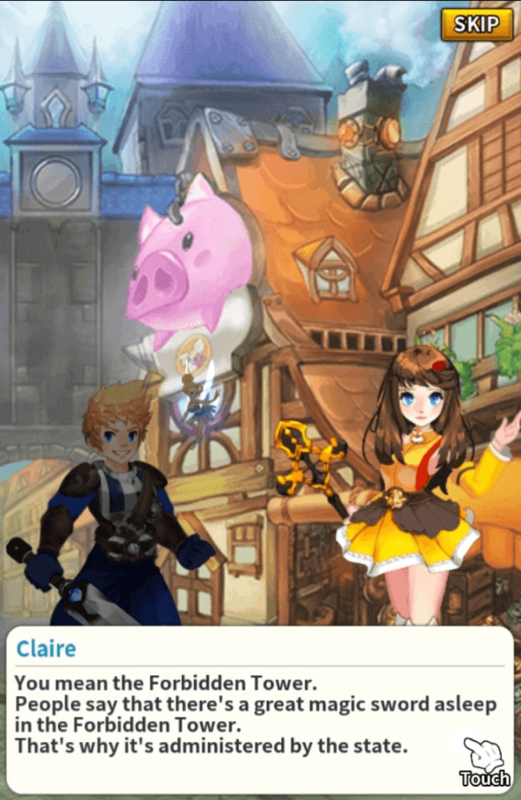 Customization (2/5): Characters are not truly customizable, outside of managing rune equipment and a few costumes. 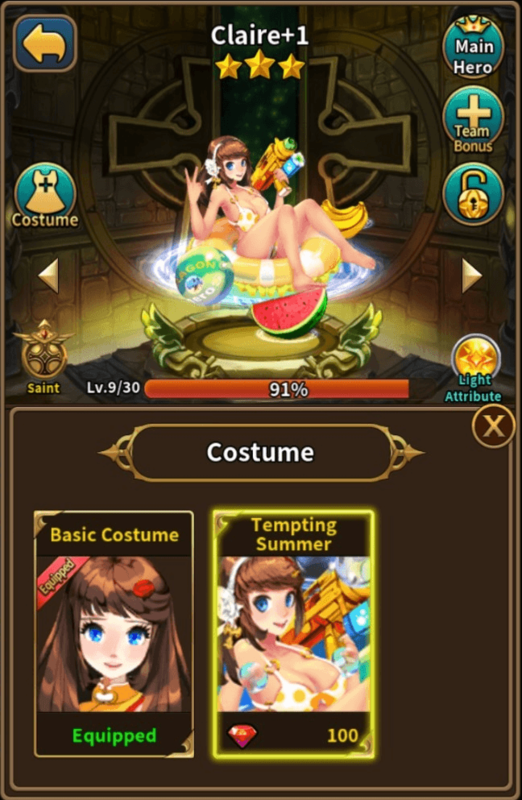 Party customization is varied. Community (2/5): There is little community to speak of, and even the in-game chat is usually quiet. 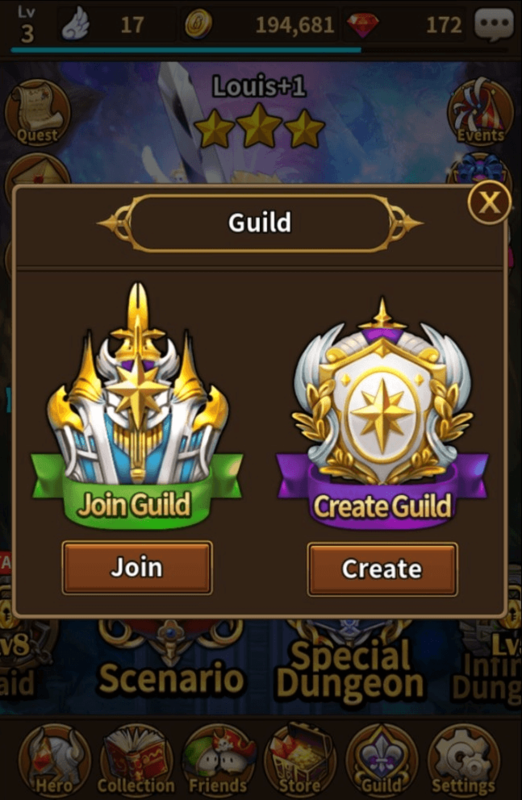 Guilds, however, seem open and helpful.